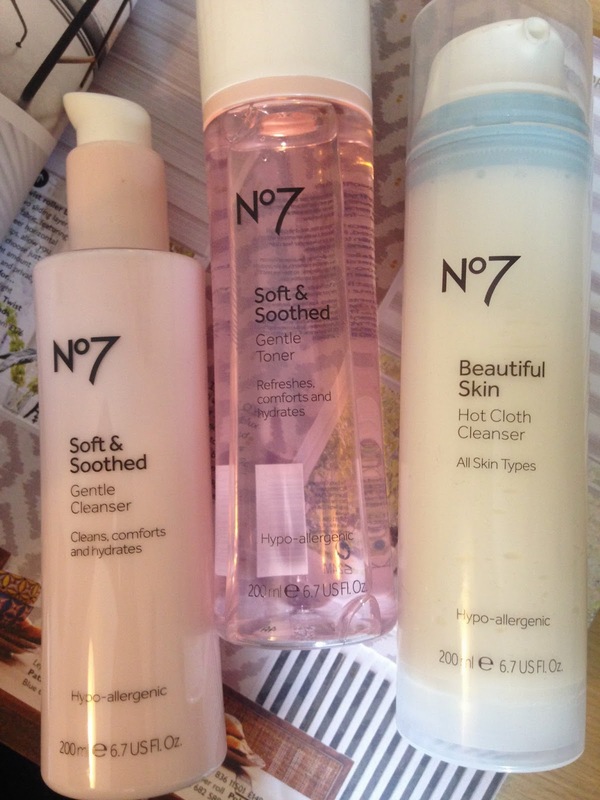 (left to right) No7 Soft & Soothed Gentle Cleanser (£3 with voucher); No7 Soft & Soothed Gentle Toner (£3 with voucher); No7 Beautiful Skin Hot Cloth Cleanser (£4.95 with voucher). I bought the Hot Cloth Cleanser after reading lots of reviews that it is similar to the Liz Earle Cleanse and Polish (which I love), and I was really impressed - it is great value for 200ml and it comes in a lovely baby blue box. The gentle toner is exactly that; I usually use it when I've taken off my make-up with a facewipe, alternating it between the Garnier Micellar water. Similarly, the cleanser is just as gentle. These products would be great for sensitive skin, and for £3 you can't really go wrong. (left to right) No7 Beautifully Matte Foundation in Calico (£10.50 with voucher); No7 Match Made Concealer in Calico (£4.50 with voucher). 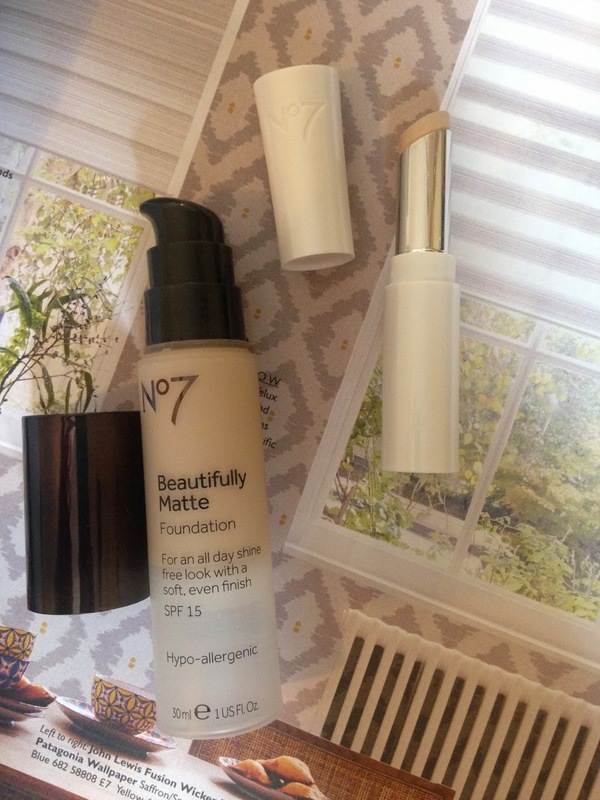 I bought the Beautifully Matte Foundation when I was in search of a new foundation, as I have found it really hard in the past to find one that suits my skintone and gives enough coverage without being too thick. As you can see from the picture - I use it every day now, it has become a staple in my make-up bag. The matching concealer is also great (available in 17 different shades now), I use it mainly for under-eye coverage. I really like the new No7 Match Made service, as I have finally found a shade that suits my skintone - everyone should take advantage of this free service! Also, at the moment No7 are offering another deal - if you buy atleast two make-up products you'll receive a free In Bloom No7 Blossom Box which is meant to be worth £24. If you use the voucher with this offer, the cheapest you could get it is if you buy two nail varnishes (£6 each), so it would be £9 in total and you get the box free!